Good. 976 p. Intended for college/higher education audience. Intended for professional and scholarly audience. 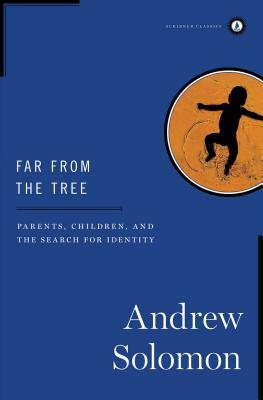 **WINNER OF THE WELLCOME BOOK PRIZE 2014**A NEW YORK TIMES BESTSELLERSometimes your child-the most familiar person of all-is radically different from you. Difference is potentially isolating, but Far from the Tree celebrates repeated triumphs of human love and compassion to show that the shared experience of difference is what unites us. New. 976 p. Intended for college/higher education audience. Intended for professional and scholarly audience. Fine. 100% Money Back Guarantee. Brand New, Perfect Condition. We offer expedited shipping to all US locations. Over 3, 000, 000 happy customers. 976 p. Intended for college/higher education audience. Intended for professional and scholarly audience.